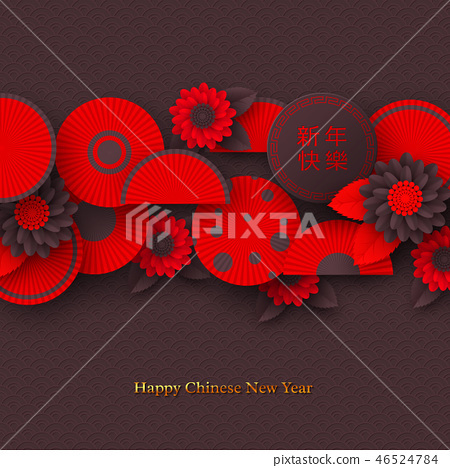 Chinese New Year holiday design. Paper cut style decorative red fans with flowers. Dark background. Chinese translation Happy New Year. Vector illustration.